Silver Pail (Fermoy, Co. Cork) is the largest ice-cream manufacturer in Ireland with almost 40 years’ experience in the manufacture of high quality ice-cream, frozen yogurts and frozen desserts for the retail and catering sectors. Product lines include own brand lines for Irish & UK multiples and retailers, luxurious ice-cream cakes, scooping and foodservice ice-cream. The company also manufactures Irish Cream Liqueur. 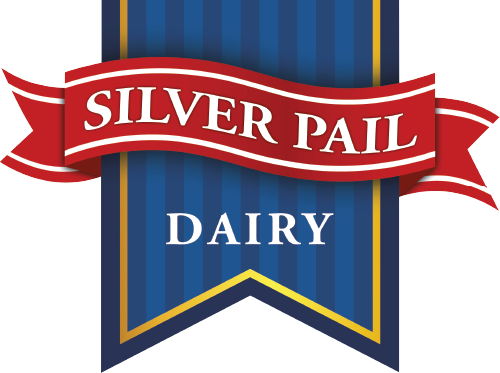 Silver Pail operates a BRC and IFS accredited modern facility, sourcing milk and cream from local dairies, and offers a bespoke product development service which is chef led. The in-house team is at the pinnacle of ice cream innovation in Europe, designing flavours and mixes that range from every day to the more unusual, with an international influence based on their experiences supplying many International markets. Quote – Silver Pail has aligned with Lean as the strategic vehicle to transform the business and enable Silver Pail to move towards a high performance company. This will ensure that we stay ahead of our competitors and will enable us to continue to add value to our customers expectations– Thea Murphy MD Silver Pail Dairy. Implement a robust cross functional Sales Operations Planning Process to optimise the cost of supply, facilitating medium term planning optimisation decision making. As part of this process a matrix has been developed to recommend the optimum batch size for manufacture, taking demand/changeover cost/waste and the cost of external storage into account, while meeting customer service requirements. Implement a new Preventative Maintenance system to improve preventative maintenance planning. This has resulted in very positive impact on line up time with all lines performing to meet a minimum of 95% Performance to Plan. OEE has been implemented across all production lines with significant improvement across all lines due to better data to root cause and analyse. This data will input to the site capex project spend. Scientific review of product profitability undertaken, with some good experiments set up across various products/lines to help determine the capability of the manufacturing lines and the resulting product yields. This project has helped the business to understand the capability of the lines and help focus opportunities for future capex spend. Lean NPD project to source a fit for purpose New Product Introduction system. Managing the reprioritising /introduction of new projects due to changing business environment and keeping everyone aligned and informed. 2% reduction in Operations costs as a result of increased batch sizes, better planning and overall improved efficiencies allowing more product to be produced in the same time. 10% less downtime as a result of improved preventative maintenance.